Food photography specialist Howard Shooter has developed a state-of-the-art studio in London, featuring photographic grade light control in all windows. With double motorised roller blinds, all controlled from a smartphone or independent handsets, the light can be softly diffused or 100% blacked out. 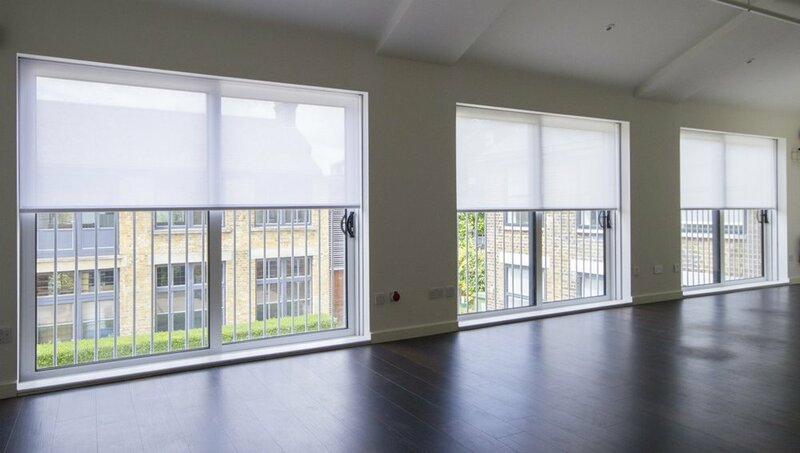 Roller blinds with specialist side channels for blackout have all been concealed inside the walls, using bespoke Blindspace® frames. “I am very happy with the end result and I believe it is a key feature of a photographic studio, to be able to fully control the light” says Howard Shooter. Grants Design Consultants often see how the high-end residential properties are developing with larger glazing areas, electric blinds, and demands for full light, temperature and privacy control. What this client achieved with his studios, leads the way to what many people want in their luxury homes. A dedicated Grants Project Manager was involved during construction and together with the builder and the architect, ensured every detail corresponded to the client's brief. 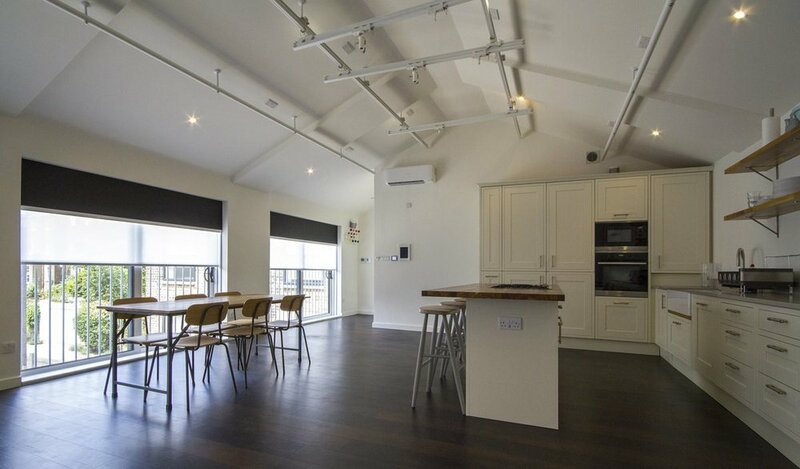 The successful end result of perfect light control in every room of the building, as well as a clean design when the blinds are not being used, speaks for itself.